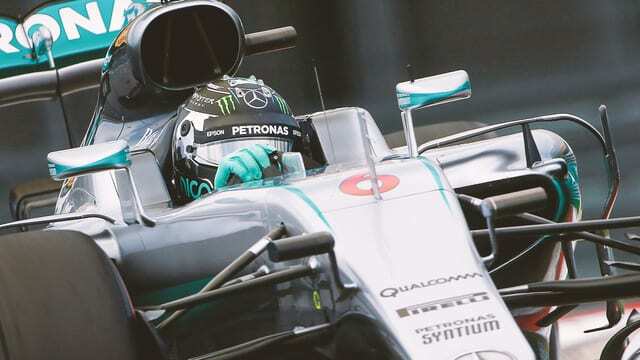 Nico Rosberg secured an easy victory in Russia, winning from pole position as teammate Lewis Hamilton had it all to do from tenth. Early chaos allowed Lewis to move up the field, and he fought his way back to second place but late stage water leak issues stopped him challenging his teammate for the win. Kimi Räikkönen ended up third for the final podium position. The first lap saw Sebastian Vettel hit not once, but twice by his new nemesis Daniil Kvyat. The first touch sent Sebastian into a wobble, the second spun him off into the barriers. Kvyat was given a hefty penalty, and has some explaining to do, particularly as Vettel in turn clouted Daniel Ricciardo in the other Red Bull. Williams got both cars to the finish, Bottas 4th and Massa 5th. McLaren also picked up a double points finish with Alonso up in sixth. Kevin Magnussen secured Renault’s first points of the season, whilst Romain Grosjean was once again in the top ten in a slightly better weekend for Haas.